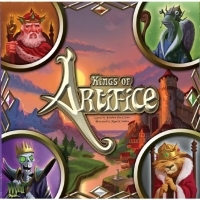 WYRD/BG: Kings of Artifice: Control the Realm! That's right, Wyrd has a board game! Players are immersed into the world of Ar..